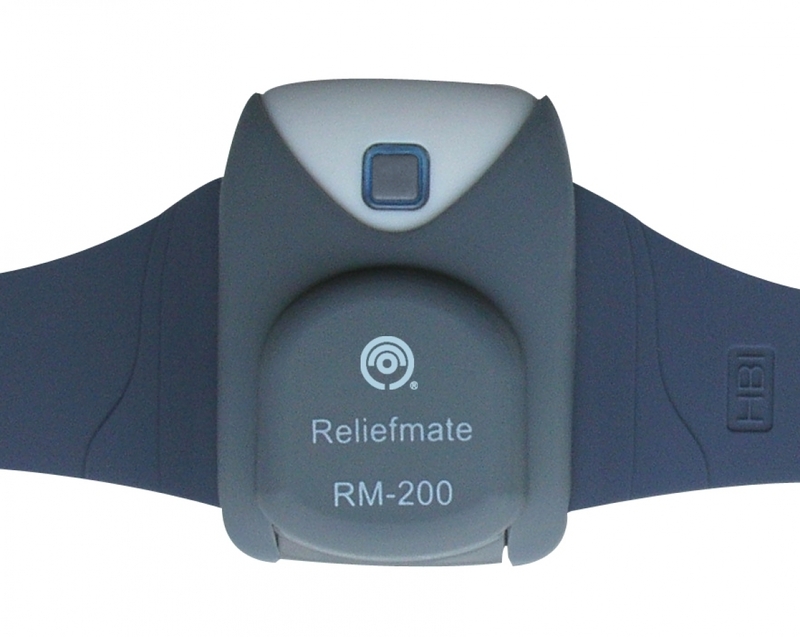 Relief Mate is a drug-free non-invasive pain-relief device with no side effects. Based on acupuncture principles, it stimulates the TE5 acupoint on thr outer wrist through a parallelized electrostatic field and adjustable vibration, which is known to affect the nerve stimulation between the brain and the pain and activates the body's system that decreases pain naturally. Indication of the TE5 acupoint includes headache, back pain, arthritis and shoulder pain.